Does Your Family Have Trust Issues Like Robin Williams? After his death in 2014, it appeared that Robin Williams did everything right when it came to estate planning. The bulk of his wealth was transferred through well-thought-out (and private) trusts that distributed his belongings to his three children while also providing for his current wife, so she could stay in the house they shared. And yet, his third wife and his three children still got involved in a court case with each other. So what happened? And what can we learn from this situation? The first thing people should know is that all bets are off when someone dies. In the extremely emotional environment of grief and loss, even the best families experience some stress and disagreement. It’s just hard to avoid. Every estate planning attorney could fill a book with unbelievable real life stories about this very thing. Effective estate planning attorneys work hard to mitigate this risk and prevent these issues from tearing families apart. And that’s where “The Conversation” and the “Special Stuff List” come in. Over the next two weeks, we’ll look at two important actions you can take to minimize fighting in your family. Just like the birds and the bees talk you once had with your kids when they were younger, this next conversation can bring up almost as much anxiety. Many times it’s “easier” to start a conversation about inheritance and estate planning during family gatherings or holiday get-togethers. I know. I know. That sounds like a real downer of a conversation for a family event, but let me assure you, it will be a lot less unpleasant than what your family will experience after you’re gone if you DON’T have “The Conversation” with them. 1. Share your own reasons or motives for bringing up the issue. Then try to clearly convey what values are really important to you. What’s important to accomplish with your assets after your death? What does fair mean to you? What does it look like? What items do you think have special meaning? What stories about those items need to be written down and shared with your family? 4. Look for natural opportunities to talk about the issue. Sometimes the death of a neighbor or a friend can provide better timing for this conversation. 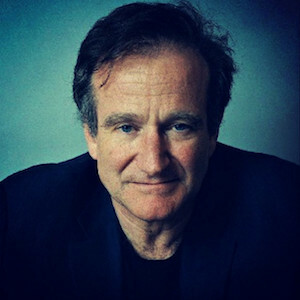 Celebrity deaths like Robin Williams can also present good times to bring up the topic, especially if their estate is presenting problems you would like to avoid. Having “The Conversation,” along with detailed and effective legal planning will go a long way in avoiding the problems that Robin Williams’ family is now having. Read more tips on having “The Conversation” here. As always, if you have any questions, please feel free to call us at 217-726-9200. We will be more than happy to help you in any way possible. http://edwardsgroupllc.com/wp-content/uploads/2015/06/httpswww.flickr.comphotosblackadegan14868663226.jpg 300 300 edwardsadmin http://edwardsgroupllc.com/wp-content/uploads/2014/02/USE-Logo-estate-planning-280x100.png edwardsadmin2015-06-02 13:36:402018-05-22 15:57:31A Lesson from Robin Williams: Having "The Conversation"
As you age, or as you complete your estate plan, you’ll need to name different kinds of “helpers” who will carry out your plan when the time comes. These helpers are officially known by different names depending on the job they’re given. They can be known as trustee, executor, power of attorney or guardian, but no matter what their legal name is, their job is to act for you when you can’t act for yourself. This can happen in cases of stroke or other debilitating illnesses as you age, or after a death. It’s very important you choose the right person. 6. The Stress Ball – She’s always running here and there, never any time to sit and talk about the estate. IF you get her on the phone she says, “Sorry. Can’t talk now. Can I call you back?” She means to do her job as trustee, but she can’t find time for the things in her own life, much less this added duty. The family isn’t sure what to do – take legal action or just wait a little longer. 7. The Broke One – His ends never seem to meet, and he’s always in financial crisis. Bill collectors call all the time. Now he’s named as a trustee and gets a checkbook showing a nice balance. It’s easy to rationalize – “I’ll just take some of my inheritance early, to get past this crisis.” But then he needs a little more and a little more. As time passes, the family wonders what has happened to their parents’ money. We understand that this can be a very daunting task. As always, we are here to help you create an effective estate plan. You don’t have to do it alone. We’ll guide you along every step of the way. Give us a call at 217-726-9200 to get started, or attend a FREE workshop. Call 217-726-9200 to RSVP for an upcoming workshop today or to schedule an Initial Meeting. Much like your favorite birthday cake flavor, everyone likes different things when it comes to estate planning. Well, as of March 5, I’m another year older! And to celebrate I got to have the best birthday cake in the world — spice cake with chocolate icing! What kind of cake do you request on your birthday? In our family, everyone seems to have their own favorite. For my wife Michelle, it’s spice cake with white icing. (And she is forever trying to talk me into changing the icing on my birthday cake!) 8-year-old Bailey asks for white cake with white icing, and I’m not sure 4-year-old Cole has settled on a choice yet. My dad likes yellow cake with chocolate icing. My mom? Carrot cake with cream cheese icing. My brother, Jay, for decades requested turtle cake. (Which Michelle and I found out firsthand, does not turn out well if the recipe is copied down wrong!) Jay’s wife, Beth, likes white cake with white frosting just like Bailey. Everyone’s got an opinion. Of course, the rest of them are all wrong! Spice cake with chocolate icing is clearly the best choice for a birthday cake. And we haven’t even gotten to the ice cream! Some want chocolate. Some want vanilla. Others like cookie dough or cookies ‘n’ cream. We’ll save that for another blog post! Everyone likes different things. The same choice does not work for everyone, even if they’re from the same family. With your estate plan, you need a plan that fits your family – not a fill-in-the-blank form that doesn’t reflect your unique values, wishes, or family challenges. And within your plan each child or loved one may have a different challenge or need that should be addressed. Don’t treat them all the same. Some want white icing. Others need chocolate. A good plan will take into account their personality, financial wisdom, and the unique situation of each heir. If you need a more personalized (and therefore, more effective plan), our free workshop, Intro to Edwards Group: Wills and Trusts Orientation is a great way to get started. Call us at 217-726-9200 to RSVP for the next workshop. Find out our upcoming workshop dates here. Learn more about the workshop and what you’ll learn by attending, here. There are 4 stages in the lifecycle of your IRA, and each one gets progressively more complicated. Before age 59 1/2, you are usually paying into the IRA. But if you try to take anything out, you pay the taxes plus a 10% penalty. After you turn 70 1/2, then you must start taking funds out. How much you take out is based on your age. The term for this is the “Required Minimum Distribution” or RMD. This requires that you take out a certain percentage every year, based on your age. The IRS has a table that says how much you have to take out. To calculate your first RMD, take the value of your IRA at the beginning of the year and divide by 27.4. The second year you divide by 26.5 and so on, based on the table. The good news is that even at age 100, the IRS table still estimates that you have over 6 years to live! So, what’s the next stage of your IRA? 1) If you leave it to your spouse, then the spouse can just take it and add it to their IRA. 2) If you leave it to your kids or others, then they can’t put it in their IRA. Instead, they will keep it separate as an inherited IRA. At that point, they are required to begin taking those minimum distributions (RMD’s) based on their life expectancy. It doesn’t matter what age your child is, they have to begin taking money out annually after your death. For instance, if you leave your IRA to a child who is 47-years-old, then she has to take out at least 1/37th of the IRA the first year, 1/36th the next year, 1/35th the next, and so on. With IRA planning, the key is how we handle this after-death stage. There are quite a few planning tricks that can help, plus plenty of traps for the unwary. We will address some of those traps in next week’s post. It’s vital that you do not take the ostrich approach to estate planning. 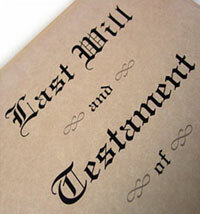 A recent survey released by Rocket Lawyer found that 51% of Americans ages 55-64 don’t have wills! That’s a lot of people with their head stuck in the sand hoping things will just work out when they die. Based on what we see everyday here at Edwards Group, that is a COSTLY assumption to make. Dying without a will costs your loved ones time, money, and extra stress during the already stressful grieving process. A will isn’t about your death. It’s about taking care of the ones you love. Attorney David Edwards says this all the time – the greatest threat to estate planning (and protecting your family) is procrastination. Loss of money – Lack of good planning can cost you money – more attorneys’ fees later, more taxes, more money being paid to a nursing home. By planning ahead, you can protect what you’ve worked so hard for. Loss of family – Lack of effective estate planning tears families apart. Poor planning leaves families with wounds that never heal. Sadly, I see this all the time. Bad estate planning breaks up good families. Increased stress for loved ones – A lack of proper planning can cause countless headaches and heartaches for your grieving family when it comes to dying without a will. Extra paperwork; long, drawn out court cases; and lost time from work piled on top of your loved ones’ grieving and busy regular life. And for the 17% who don’t think they need a will, I hear that all the time, too. “I don’t need an estate plan. I don’t have an estate!” But that’s not true. If you own a house, are married or divorced, and you have children, then you need a will. Virtually everyone can benefit from having a personalized estate plan. Without one, the state of Illinois will decide what happens to your house, bank accounts, cars, etc. when you die. And trust me, the state of Illinois doesn’t know you or your family, so they may not make the same decisions you would make. 1. Give us a call at 217-726-9200. Tarina loves helping people and answering their questions. In fact, she was a client before she ever started working at Edwards Group, so she has a unique perspective that many find helpful. 2. Schedule an initial meeting. If you know you’re ready and want to stop putting it off any longer, just give us a call and schedule your Initial Meeting. At this meeting (which usually lasts about 45 minutes) you’ll review your concerns and goals with an attorney who will help you understand the unique risks your family faces. By the end of the meeting you’ll understand your planning options, how much it will cost and if Edwards Group is the right firm for you. Clients find this meeting to be very valuable in helping them understand their options. Remember, the biggest threat to your assets and your family is procrastination. Please take action now. Don’t put it off any longer. There is too much at stake. Call us at 217-726-9200 to get started.